Actually i was having a left over bread in my kitchen and i thought why can't i try a curry with it then immediately i got this idea and implemented it...the curry was really yummy my husband liked it so much....Now, i'm sharing with all of you....u will definetly like it!!!!!!!! mash the boiled potato, take the bread and remove the brown edges and wet it in water... squeeze out the excess water. take a bowl add mashed potato+wet bread+cumin seeds+chili powder+salt and mix it throughly. Now, the dough is ready. take a pan and heat oil for deep fry. when the oil is hot, take little dough in your hand and make small balls and fry it in oil under medium flame until they turn golden brown. Now, the koftas are ready, keep them aside. add cumin seeds+mustard seeds and allow it to splutter. add tomato and cook until they are completely get cooked under medium flame. Now, add gingergarlic paste and turmeric and cook until the the raw flavor of turmeric goes off. Add chili powder+salt and yoghurt mix well and cook for 3-4min. finally add little water and boil it. 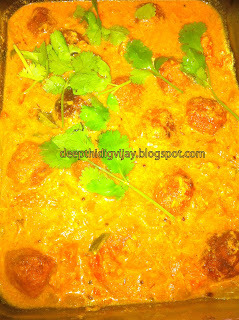 Now, turn off the stove and add koftas/dumplings in to the curry and garnish it with cilantro. It will be very delicious!!!!!!!!!! If you like my recipe do not go away.... ur comments are very valuable for me! 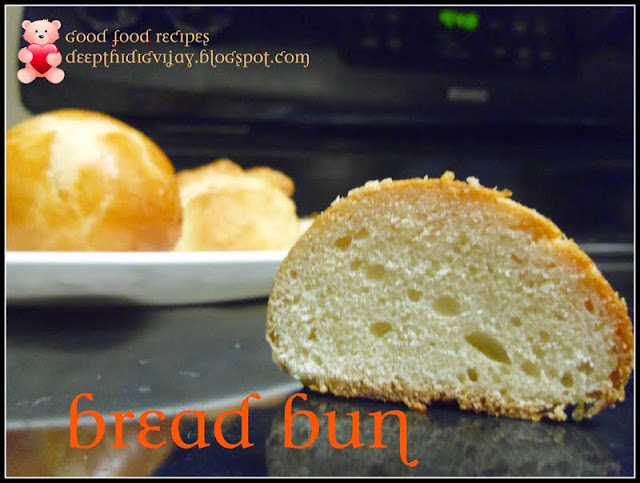 Your Potato-Bread dumplings look so yummy! Can't wait to snack on them! visiting your space for the first time..sure you have a lovely blog with impressive presentation..great clicks.. The dumplings look yummy .. delicious ..
Drop by my space when you get a chance .. Following your blog already for many more new recipes :) .. hope you follow me too !! !